A method for producing alpha-glucosidase inhibitors utilizing Paenibacillus sp. (2017) 美國專利 USA9850519B1(2017/12/16-2037/06/29). Composition of alpha-glucosidase inhibitors (2018) USA Patent (US20180296552A1). Wang SL*, Nguyen VB, Nguyen AD (2018) Reclamation of fishery processing waste: A review. under reviewing. Wang SL*, Nguyen AD (2018) Preface. Research on Chemical Intermediates, 44(08): 4909-4910. (DOI: 10.1007/s11164-018-3336-x) SCI. Nguyen VB, Nguyen AD, Wang SL* (2017) Utilization of fishery processing α-glucosidase inhibitors production by Paenibacillus sp. Marine Drugs,15 (09): 274. SCI (http://www.mdpi.com/1660-3397/15/9/274/htm) (http://www.mdpi.com/journal/marinedrugs/special_issues/bioconversion)(2017/08/30 published). Nguyen VB, Nguyen AD, Kuo YH, Wang SL* (2017) Biosynthesis of α– glucosidase inhibitors by a newly isolated bacterium, Paenibacillus sp. TKU042 and its effect on reducing plasma glucose in mouse model. International Journal of Molecular Sciences, 18 (4): 700. SCI (http://www.mdpi.com/1422-0067/18/4/700) (2017/03/25 published). Wang SL (Keynote speaker) Microbial reclamation of chitin-containing fishery byproducts for the production of bioactive compounds. The 3rd International Conference on Advances in Biotechnology. Osaka, Japan, 2019/04/25-04/26. Wang SL (Invited speaker) Novel potent hypoglycemic compounds from a Vietnamese medicinal plant Euonymus laxiflorus Champ. The 5th International GEAR-Up Forum. National Chung Hsing University (Taichung, Taiwan), 2018/11/12-11/13. Wang SL (Plenary speaker) Production of antidiabetic compounds by microbial fermentation. The 7th ECUST-TKU-KIST-OPU Joint Symposium on Advanced Materials and Applications (7th JSAMAS). East China University of Science and Technology (Shanghai, China), Nov. 01-04, 2018. Wang SL (Invited speaker) Microbial reclamation of chitinous materials for the production of antidiabetic drugs. 2018 HCMUT-TNU-TKU Joint Symposium on Applied Natural Resources. HCM City University of Technology (Ho Chi Minh City, Vietnam), July 09, 2018. Wang SL (Invited speaker) Reclamation of chitin-containing fishery processing to antidiabetic materials by Paenibacillus fermentation. 2018 DLU-TNU-TKU Joint Symposium on Applied Natural Resources. Dalat University (Da Lat, Vietnam), July 11, 2018. Wang SL (Plenary speaker) Production of antioxidants from squid pens via microbial conversion. 17th Conference on Chitin, Chitosan, and other Biomaterials. Tamkang University (New Taipei), June 23, 2017. Wang SL (Invited speaker) Antioxidant activity of extracts from medicinal plants collected in Central Highland, Vietnam. The International Symposium on Biodiversity: Research and Application in Agriculture & Pharmacy. Tay Nguyen University (Buon Ma Thuot City), Vietnam, Jan. 09-11, 2017. Wang SL (Invited speaker) Isolation and identification of natural compounds from Euonymus laxiflorus Champ and their bioactivities. The International Symposium on Biodiversity: Research and Application in Agriculture & Pharmacy. Tay Nguyen University (Buon Ma Thuot City), Vietnam, Jan. 09-11, 2017. Wang SL (Invited speaker) Bioconversion os squid pen to homogentisic acids and its antioxidant and anti-inflammatory activities. The 4th TKU-OPU Joint Symposium. Tamkang University, Nov. 20-21, 2016. Wang SL(Invited speaker) Human saliva alpha-amylase inhibitors from a Vietnamese medicinal plant. The 5th KIST-OPU-ECUST-TKU Joint Symposium on Advanced Materials and Application (5th JSAMAS). Korea Institute of Science and Technology, Seoul, Korea, Sept. 25-27, 2016. Wang SL (Invited speaker) Bioconversion of shellfish chitin wastes for the production of bioactive compounds. 11th Internatiional Symposium in Science and Technology at Kansai University 2016. Kansai University, Osaka, Japan, July 26-28, 2016. Wang SL (Invited speaker) Alpha-amylase inhibitors from indigenous medicinal plants in Dak Lak Province, Vietnam. 3rd International Conference on Chemistry and Food Engineering, Hotel Sunroute Plaza Shinjyuku, Tokyo, Japan, Apr. 08-09, 2016. Wang SL (Invited speaker) Enzyme inhibitors from Vietnamese medicinal plants. 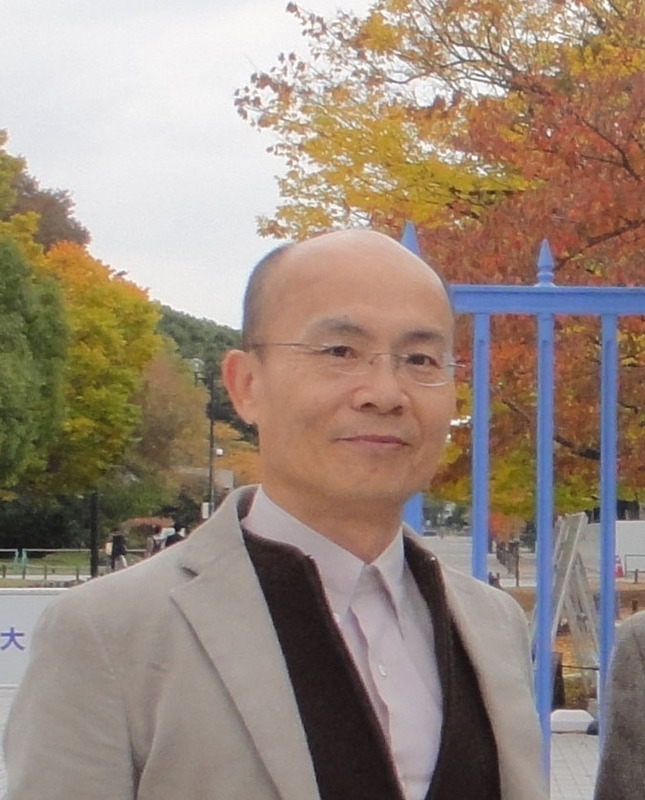 3rd OPU-TKU International Symposium, Osaka Prefecture University, Osaka, Japan, Nov. 19-20, 2015. Wang SL (Plenary lecture) Microbial conversion of squid pen. 2015年幾丁質幾丁聚醣暨生物材料研討會，南台科技大學(台南)，September 11, 2015. Wang SL (Invited speaker) Recent advances in exopolysaccharides from Paenibacillus spp. 3rd International Symposium on Biodiversity : Research and Potential Application, Tay Nguyen University, Buon Ma Thuot, Vietnam, August 11-13, 2015. Wang SL (poster) Microbial reclamation of squid pen and shrimp shell. 3rd International Symposium on Process Chemistry, Kyoto International Coference Center, Kyoto, Japan, July 13-15, 2015. Wang SL (Plenary lecture) Characterization of chitosanases from the fungi isolated from Central Highland of Vietnam. International Symposium "Mycology: Research and Application in Southern Vietnam", Ho Chi Minh City, November 23, 2014. Wang SL (Invited Speaker) Exopolysaccharides and antimicrobial biosurfactants produced by Paenibacillus macerans. International Colloquium on Applied Chemistry and Materials, Kansai University, Osaka, Japan, August 04, 2014. Wang SL (Invited speaker) Isolation and characteriazation of chitosanase-producing fungi from Central Highland of Vietnam. International Symposium on Biodiversity of Medicinal Plnts and Microorganisms in Central Highland, Tay Nguyen University, Buon Ma Thuot, Viettnam, April 21-22, 2014. Wang SL (Invited speaker) Microbial reclamation of squid. The First OPU-TKU International Symposium on Frontier Chemistry and Materials for the 21st Century, Osaka, Japan, Nov. 18-19, 2013. Wang SL (Keynote speaker) Utilization of chitinous materials in pigment adsorption. The 10th Asia-Pacific Chitin and Chitosan Symposium, Yonago, Japan, Oct. 04-09, 2013. Wang SL (Invited speaker) Enhancement of prodigiosin porduction by Serratia marcescens and its insecticidal activity relative to food colorants. 2013 ECUST-OPU-KIST Joint Symposium on Advanced Materials and Their Applications, East China University of Science and Technology, Shanhai, China, Aug. 2-3, 2013. Wang SL (Invited speaker) Utilization of chitinous materials in pigment adsorption. International Colloquium on Utilization of Bioresource, Osaka Prefecture University, Osaka, Japan, Nov. 12, 2012. Wang SL (Plenary lecture) Microbial reclamation of squid pen. International Workshop on Agricultural Biotechnology and Sustainable Development. Tay Nguyen University, Buon Ma Thuot, Vietnam, June 20-23, 2012. Wang SL (Plenary lecture) Screening and utilization of new species bacteria. International Symposium on Biodiversity of Medicinal Plants and Microorganisms in Central Highland, Tay Nguyen University, Buon Ma Thuot, Vietnam, Dec. 12-14, 2011. Wang SL (invited speaker) Microbial reclamation of marine chitin-containing byproducts. The 7th International Symposium on Biocatalysis and Agricultural Biotechnology, Kyoto University, Kyoto, Japan, Dec. 10-13, 2011. Wang SL (keynote speaker) Conversion of squid pen by Serratia marcescens for the production of insecticidal prodigiosin. The 9th Asia-Pacific Chitin and Chitosan Symposium, Nha Trang, Vietnam, Aug. 03-06, 2011. Wang SL (invited speaker) The utilization of marine bioresources---An infinite treasure. The Fifth Tamkang International Conference on Ecological Discourse. Tamkang University, Taipei, Taiwan, Dec. 16-18, 2010 . Wang SL (Invited speaker) Isolation and identification of a novel antioxidant with antitumor activity from Serratia ureilytica using squid pen as fermentation substrate. The 7th National Academic Conference on Chitin of Chinese Chemical Society and International Symposium on the Interdisciplinary Science of Chitin in Chemobilogy and Medicine, Qienchian, China, Nov. 05-09, 2010. Wang SL (Invited speaker) Microbial reclamation of fishery chitin-containing wastes. 2010 International Workshop on Environmental Literature and Functional Materials. Nagasaki University, Nagasaki, Japan, June 14, 2010. Wang SL (Invited speaker) Microbial reclamation of the unutilized chitin-containing bioresource. 2010 Taiwanese Society for Chitin and Chitosan, Kaushion, May 29, 2010. Wang SL (Keynote speaker) Microbial reclamation of chitin-containing materials for the production of enzymes and bioactive materials. The 11th International Conference on Chitin and Chitosan (11ICCC), Taipei, Sep. 06-09, 2009. Wang SL (Invited speaker) Exploitation of microbial resources and their applications in the field of bioindustry. Biotechnology Center/National Chung Hsing University, Taichung, Oct. 07, 2009. Wang SL (Invited speaker) Bioconversion of chitinous materials for the production of enzymes and bioactive materials. Symposium of Biotechnology and Cosmetics, VannungUniversity, Taoyung, May 21, 2009. Wang SL (Invited speaker) Microbial reclamation of chitin-containing materials for the production of enzymes and bioactive materials. The Asian Conference on Environmental Issues (ACEI 2008 pp33-38), NagasakiUniversity, Dec. 04, 2008). Wang SL (Invited speaker) Bioconversion of chitinous materials for the production of enzymes and bioactive materials. The 6th National Academic Conference on Chitin of Chinese Chemical Society and International Symposium on the Interdisciplinary Science of Chitin in Chemobiology and Medicine, ChineseOceanUniversity, Quindao, Nov. 12-15, 2008. Wang SL (Invited speaker) Microbial reclamation of chitinous materials for the production of enzymes and their application on the development of health foods. Symposium and Workshop on Medical Plants & Health Foods. NationalTaitungUniversity, May 12-13, 2008. Wang SL, Huang TY, Wang CY (2008) Microbial reclamation of squid pen for the production of proteases and biofertilizer. Proceedings of the 1st International Symposium on Process Chemistry (Kyoto, Japan, Jul 28-30, 2008), pp232-233.